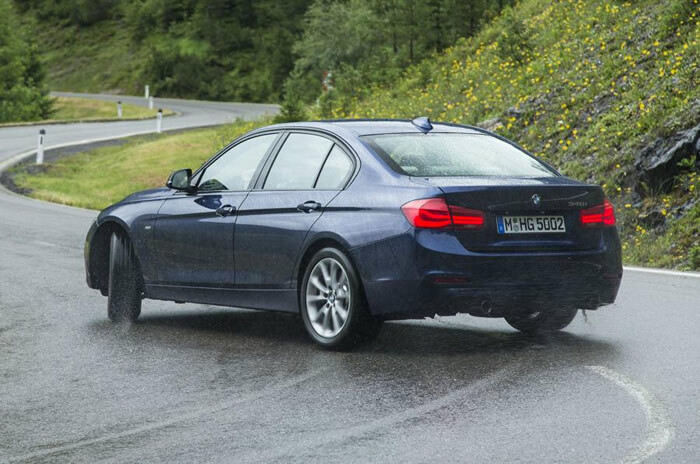 The current ‘F30’ generation was introduced in 2012 and continued Munich’s best traditions of outstanding performance and rear-drive handling. It also went straight to the top of our road test class rankings – where it stayed until very recently. But with an increasingly popular Mercedes-Benz C-Class to fight off, an all-new Audi A4 arriving later this year and a fresh and desirable newcomer on the scene in the shape of the Jaguar XE, the 3 Series needs to move forward just to stand still at the moment. In fact, standing still may not even be a guarantee of success. Thanks to the introduction of the 4 Series line and the demise of the 3 Series Coupé and Convertible, BMW’s wider 3 Series brand has undoubtedly lost a bit of its old lustre and quietly dropped out of the UK’s top 10 biggest-selling cars. Which may partly explain the lengths to which BMW has gone with this unusually far-reaching mid-cycle update – there’s clearly a consolidation job to be done. 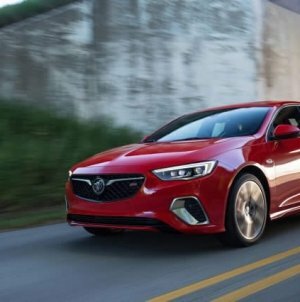 And this is not just the usual headlights-and-bumpers revision – although new optional LED headlights and reshaped bumpers front and rear are included in it. 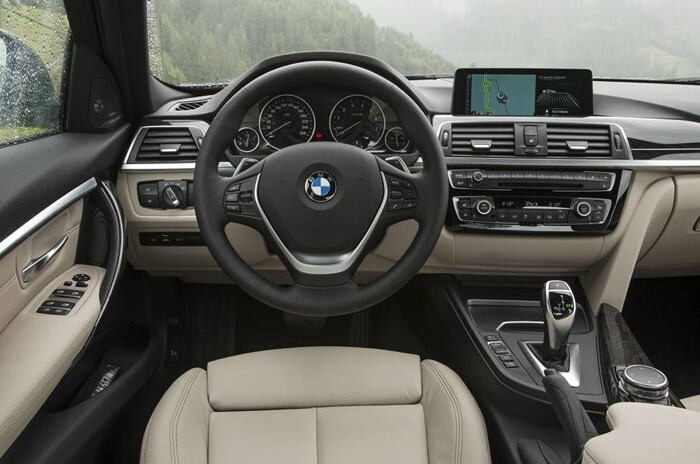 New turbocharged petrol and diesel engines come in under the bonnet, coupled to an updated optional eight-speed automatic gearbox, while extensive changes have been made to the 3 Series’ suspension, cabin and equipment. The range starts with the £24,975 entry-level 318i SE, powered by a 134bhp 1.5-litre three-cylinder turbocharged motor. Next up is the four-cylinder 2.0-litre turbocharged engine that comes in two forms. In the 320i it develops 181bhp and 199lb ft of torque, while in the 328i-replacing 330i it pumps out 248bhp and 258lb ft of torque. 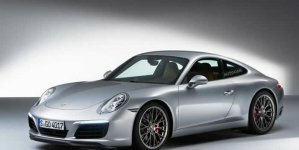 All of the four cylinder diesel engines are new and based around BMW’s B47 motor in different states of tune. The entry point into an oil-burning 3 Series is the 114bhp 316d, followed by the 148bhp 318d. 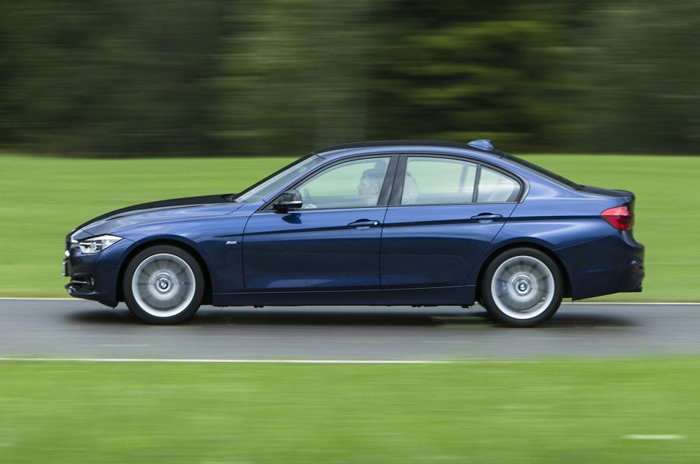 However, the biggest sellers will almost certainly be the 188bhp 320d (up from 181bhp) and the 161bhp 320d Efficient Dynamics; the former now cracking 0-62mph in 7.2sec when paried with the eight-speed auto ‘box. There’s also a plug-in hybrid version in the pipeline for 2016 – the 330e – combining 249bhp of total output with combined CO2 emissions of just 47g/km. 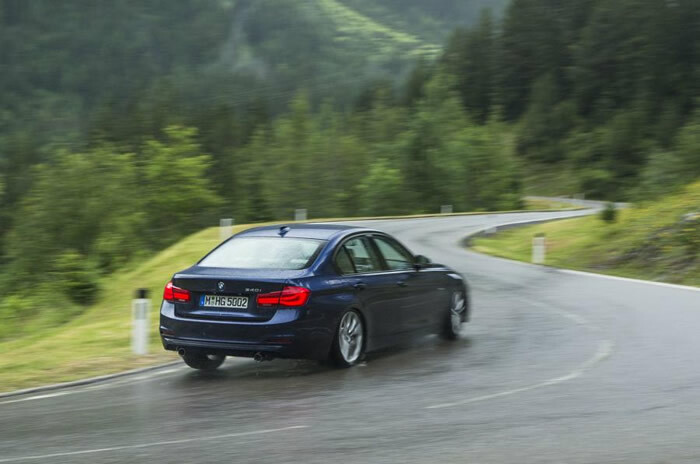 The automatic-only 330d churns out 255bhp and a hefty 413lb ft of torque, while the flagship 308bhp 335d sprints from 0-62mph in 4.8sec and claimed combined fuel economy of 51.4mpg. 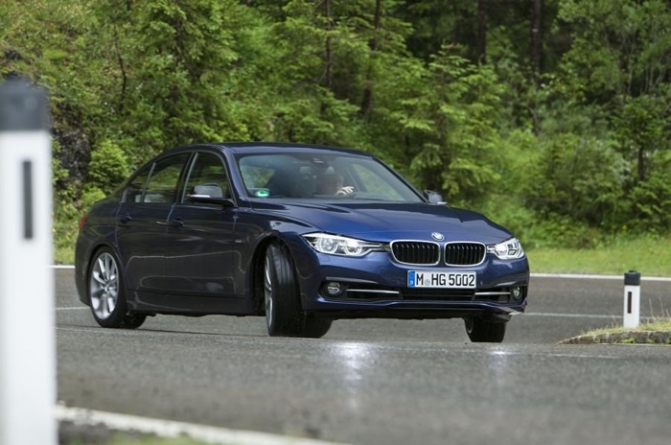 A 3.0-litre six-cylinder 3 Series will continue to be offered in the form of the 340i, which we’re testing here. This 340i gets a new twin-scroll turbocharged unit producing 20bhp and 37lb ft more than the outgoing 335i, at 322bhp and 332lb ft, respectively. Four trim levels will continue to be offered: SE, Sport, Luxury and M Sport. As standard, SE trim gets 17in alloy wheels, dual-zone air-con, DAB radio, Bluetooth, multi-function steerng wheel, cruise control, rain-sensing wipers and sat-nav. Sport grade adds leather upholstery, heated front seats and chrome interior finishing. 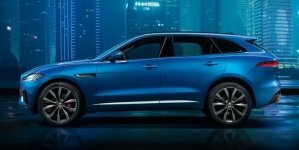 Luxury spec gets 18in alloy wheels, anthracite wood trim, switchable ambient lighting and front and rear parking sensors. 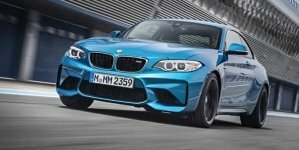 Flagship M Sport trim is shod with unique 18in alloys, M Sport suspension, a more aggressive bodykit and M Sport seats and a steering wheel. We’ve only driven the six-cylinder 340i variant and in this guise it’s formidable, outstanding in lots of ways. Is it still the class’s benchmark on performance and handling? It’s too early to say, but the early signs aren’t universally promising. It’s a model with a quite brilliant engine, but it’s a bit-part player in a sales mix that will be utterly dominated by the more affordable and fleet-friendly four-cylinder diesels. BMW could also only manage one vehicle specification, including an optional eight-speed automatic transmission, optional adaptive dampers, optional Variable Sport Steering, and wheels and tyres that won’t be a part of the UK sales offering. So the verdict on a 3 Series anything like the one most UK owners may eventually take delivery of will have to come later.